The Mad Fitness SB interest in corrective and preventative therapy came when founder Marianne experienced a traumatic shoulder injury that ended her professional sports career. Growing up in the small town of Murphys, California, Marianne started sports at 3 years-old. With a passion for snowboarding, basketball, volleyball, track, and softball, Marianne played fifteen years of year-round competitive sports. After surgery and rehabilitation, she realized the importance of correcting muscular imbalances, not only to prevent injury, but to rid the body of every day pains. As a result, Mad Fitness SB strives to improve movement patterns in order to unlock the full potential of every muscle and joint. Improving the flexibility, strength, and motion of our bodies leads to an injury free and active lifestyle. We believe a nice blend of functional and traditional training makes for the perfect workout and best results. In addition to preventative therapy, Mad Fitness SB strives to push their clients to all realms. Safe high intensity interval training is one of our specialties, designed to fit the needs of every client. Marianne works with college and high school athletes to increase their functional speeds for optimal performance. She currently works with the UCSB Men’s Basketball team, UCSB Men’s and Women’s Swim Teams, and the UCSB Women’s Soccer team developing a preventative program to rid of injury in their respective sports. The right workout can increase the speed, power, and strength of an athlete as well as relieve the back pain of a desk worker. MadFitnessSB believes that no pain is unfixable and no goal is unreachable. With the perfect combination of intensity and correction, anything can be achieved. A basic tenet of life for Marianne and Mad Fitness SB is the purpose of fitness for longevity in life and in sport. The reason we work out now is to be active in the future. When we train smart we create lasting change. Mad Fitness SB strives to reach goals correctly and efficiently while building a supportive relationship with each client. To Marianne, functional fitness is the key to being active and playing forever! On her free time Marianne likes to paint, read, and be active. She believes in the power, both mentally and physically, behind health and fitness. Working out should be something we enjoy, not something we just do. It should be something that makes us happy rather than a task. The key is finding the workout that makes YOU happy. Getting creative with workouts is the best way to find ones true passion, and Mad Fitness SB believes each person has their own creativity. Being active and healthy leads to lifelong happiness and success, a common goal we all share. graduated from TCU in 2016 with a Bachelors of Science degree in Nutrition and is currently a certified Specialist in Fitness Nutrition. She specializes in proper caloric intake for weight loss/maintenance/gain, creating individualized meal plans, as well as nutrition & supplement education. She discovered Mad Fitness a few months after moving to Santa Barbara. Aly had tired various gyms and indoor cycling classes in town but could not find the right fit until walking through the doors at Mad Fitness. She fell in love with environment created by the Mad Fitness staff and gym members and immediately knew that she had found the right place. 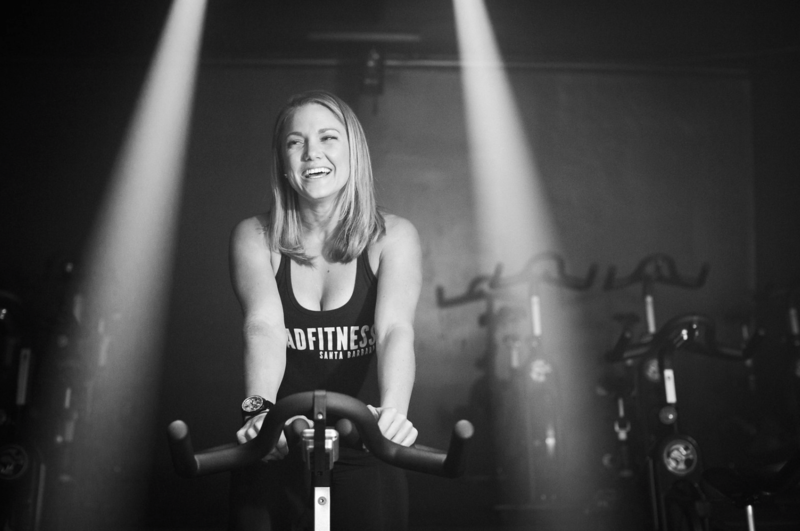 She began working at the front desk for a few hours a week and eventually accepted a full-time job as a gym manager and shortly after became Schwinn Certified Indoor Cycling Instructor. Aly’s favorite color is purple (Go Frogs! ), her favorite movie is the Parent Trap, and she loves tacos. Her other interests include football, puppies, and Sunday afternoon naps. If for some reason you can’t find her at the gym, just look for the person wearing a Lululemon scrunchie. Through Tim’s own fitness journey to lose weight and rehab old skateboarding & hockey injuries, Tim developed his passion for corrective training and injury prevention. He mentored directly under Marianne Madsen and has been a certified Personal Trainer since 2015. He prides himself in teaching people to move properly without pain. Tim has years of strength and conditioning experience with both adults and youth athletes in Santa Barbara.Tim was born and raised in Santa Barbara where he developed his love for sports. Tim grew up skateboarding, wake-boarding, snowboarding and training in martial arts. His biggest passion is hockey which he has been playing competitively since the age of nine and he continues to compete today. He took his love of the game to coaching travel roller hockey. He has been coaching High School roller hockey in Santa Barbara for the past 8 years and is the Strength and Conditioning Coach for the Santa Barbara Roller Hockey Association. In 2015 Tim lead the team to their first State Championship and has coached many athletes who now play at the collegiate level. Jordan is a Santa Barbara local and has been in the fitness industry for over 5 years. 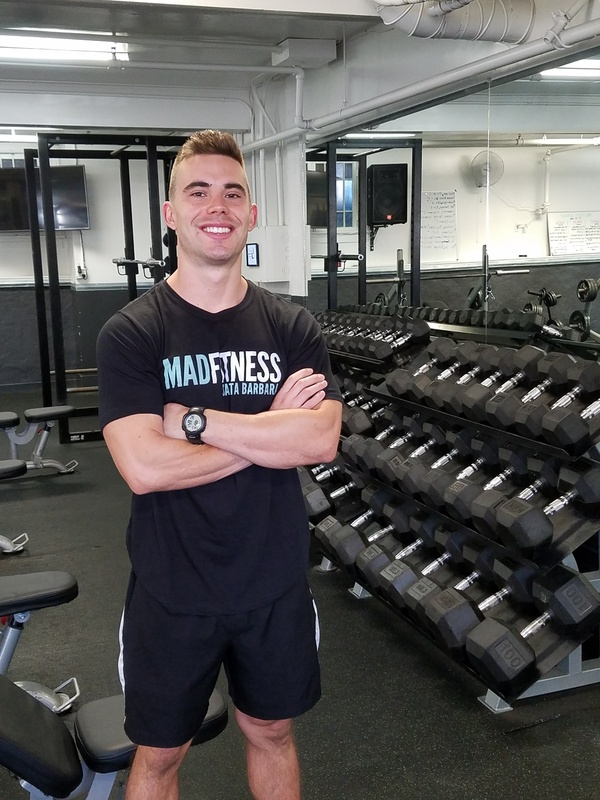 During his sophomore year of college, he was certified as a personal trainer through ISSA and began working at the Santa Barbara YMCA. The YMCA’s demographic offered a wide range of clientele to work with – from young to seniors and athletes to sedentary. It was a great place to start for a new trainer. Over time Jordan worked his way up to head trainer and eventually was promoted to the SB YMCA’s Director of Wellness and Personal Training. Through that experience, Jordan learned about business logistics and how to make things happen. Unfortunately, that position took him away from people and put him on a computer. After 3 years he decided to resign and began working full-time as a self-employed personal trainer to follow his passion. Jordan started to teach group classes along with semi-private training and one-on-one sessions. During that time he also began working with the Dos Pueblos High School football team as their Strength and Conditioning Coach. 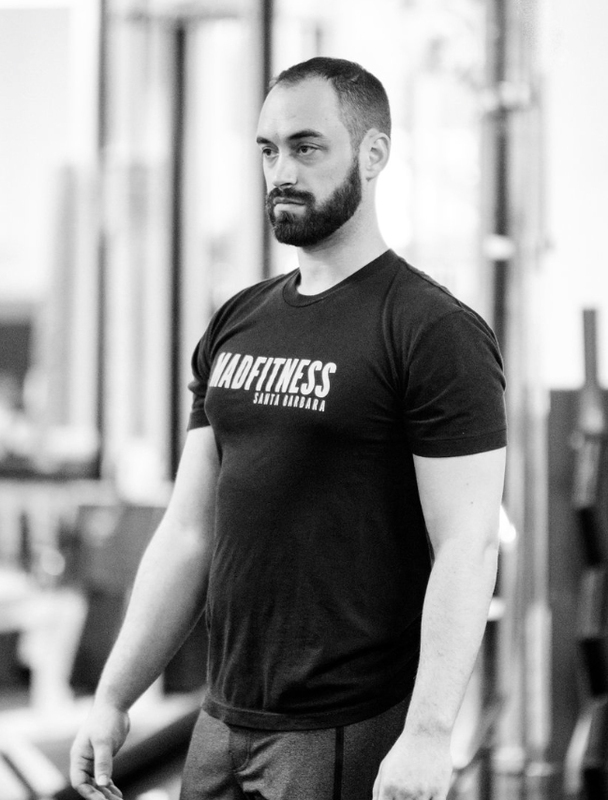 Jordan’s purpose and passion is to influence others in actualizing their true potential (inside and outside of the gym) through the medium of fitness. He believes that health and fitness is more than just working out or eating right. The principles learned throughout ones journey, such as; discipline, willingness to struggle for something better, the belief in yourself through adversity and most of all self-love, are the things most important to what he teaches. Originally from Chicago, Sara moved to the Easy Bay where she grew up with her mother, father and older sister Ashley. 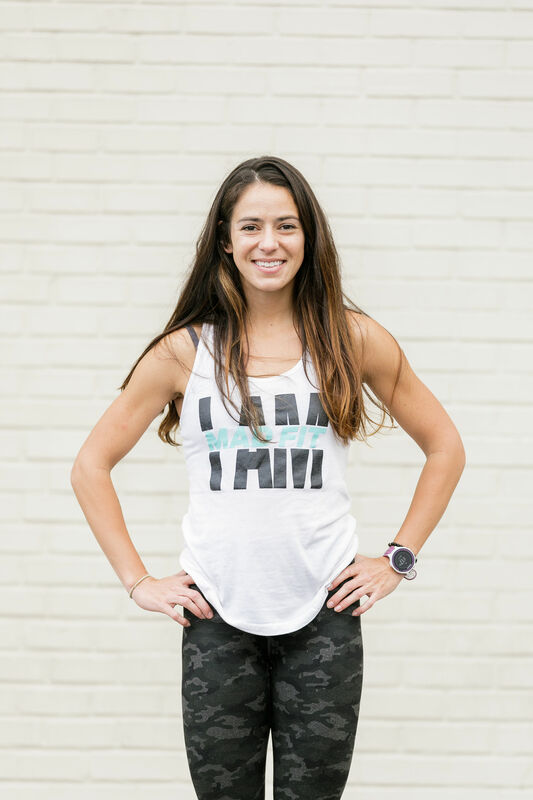 Sara transitioned into running after years of playing competitive soccer. After high school she decided to become a Lady Aztec and accepted an offer to run track and cross country at San Diego State University. Sara worked hard to earn the position of team captain. Her main track events were the 1500m and 3000m Steeplechase. During her role as team captain, Sara developed her passion for seeing others grow and change. Sara graduated from SDSU in 2011 with a degree in Food and Nutrition with a focus in Dietetics. After college she learned that in order to reach her goals, she had to put herself in uncomfortable situations and push through adversity. After college she worked as a personal trainer before taking time to travel and find her purpose. Sara lived in Bali, Indonesia where she studied and practiced yoga; earning her 500-hour teaching certification. Through her yoga practice and own personal life journey Sara has learned the power of the mind and body connection. “What the mind does the body follows.” She uses physical activity as a way to push past mental limitations and build confidence. “If you believe it, you can make it a reality,” is the principal she lives by. 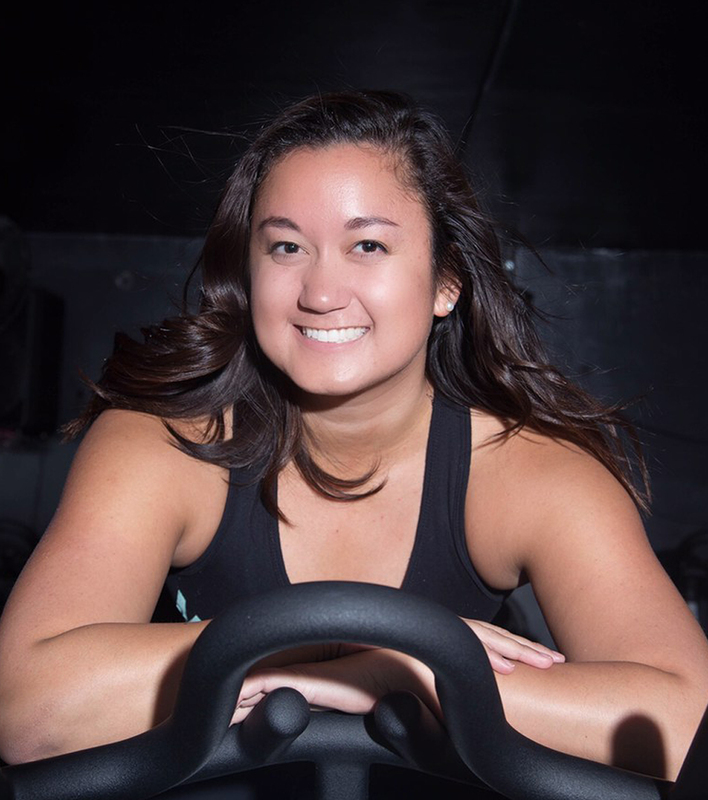 Sara discovered Mad Fitness after moving to Santa Barbara and immediately fell in love with the welcoming, positive environment of the Mad Fit Crew! She began working with the Mad Fitness team as the Sales Lead and eventually started teaching a Yoga Sculpt class. When she is not training for a race, practicing yoga or in the gym you can find Sara spending time with her family, boyfriend, friends or watching Star Trek: Next Generation. She recently became an Aunt and is so grateful for the opportunity to be a good example for him (JB)! Sara also loves to paint, travel, cook, hike, time in nature and long ocean swims (she is terrified of sharks by the way!). As Denzel Washington says “fall forward and no matter what DON’T quit.” Come get to know Sara in her weekly classes so you can be part of the MadFit Team as well!